OXFORD, Miss. – The UM School of Pharmacy recently welcomed Meredith Pyle as its new admissions counselor. 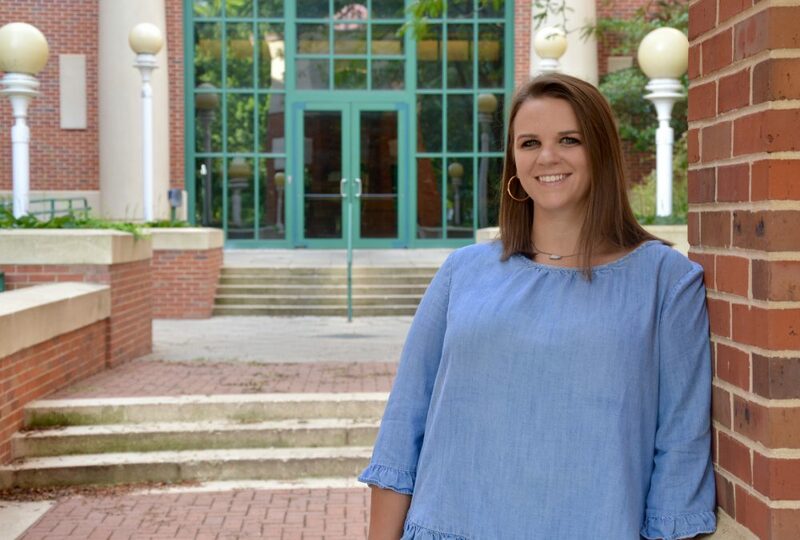 Originally from Cedartown, Georgia, she graduated from Ole Miss in 2016 with a bachelor’s degree in accountancy and got her accountancy master’s degree the next year from Ole Miss. She will be guiding regular entry and transfer students through the process of applying to the pharmacy school. Why did you want to become an admissions counselor with the School of Pharmacy? Being an admissions counselor for Ole Miss is the perfect fit for me. I am originally from Georgia, but when I came to Ole Miss as a freshman, I immediately began calling Oxford home. I love sharing with prospective students about my time as an undergraduate here and the opportunities that Ole Miss has to offer. I am so excited to get on the road and meet with students at colleges throughout the state! What do you like to tell students who are considering Ole Miss Pharmacy? Ole Miss Pharmacy has so much to offer students! Our class size each year is 115 students, which makes our admissions process competitive. Once you enter the program, you will find there will be some tough classes and long days, but being a part of the Ole Miss Pharmacy Phamily provides an exceptional community! Our job placement rate has been 100% for the last three years and our students excel on board exams. You can feel confident that you are investing in a quality education! What are some of your favorite things about Ole Miss? Ole Miss Baseball at Swayze Field, watching Rebel hoops at the Pavilion, red tulips in front of the Lyceum, trash can Fridays, the Double Decker Arts Festival and always knowing I will see a familiar face when I am out and about on campus. What do you like about Oxford? I love the small town vibe of Oxford. It offers something for everyone and has everything you might need—from shopping to great dining options to live music. I love getting to know people in the Oxford community through events like Double Decker. Also being just an hour from Memphis, it is easy to catch a good concert or a sporting event!